The Tiny Blue Butterfly: Be Mine..
Today I have my card for the Lili Of The Valley Facebook challenge which you can find here! 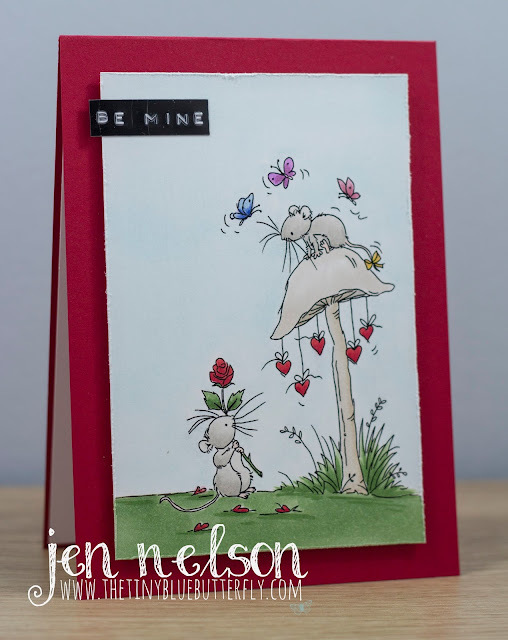 I have used another one of the new releases from the end of January.. how cute are these mice! Kept it simple as usual, but I do love the occasional full scene card! I'm hoping to get some time in the craft room this afternoon, but first the gym for me... well when it opens at 8am anyhow! Gorgeous card Jen, super cute image coloured so beautifully.